Chat Room Forum * FeaturedDate® Matchmaking Agency "Where Your Search Ends & The Connection Begins " - FeaturedDate® Matchmaking Agency "Where Your Search Ends & The Connection Begins "
2 hr weekly chat session forum ( Invite Only) On Friday & Saturday for the hottest topics including dating & relationship questions & advice. 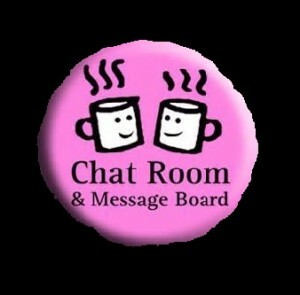 Specify Day & Date for Chat Room Attendance (Friday or Saturday), Along with your dating topic or question. 1. No use of explicit, racist, obscene or vulgar language, images or messages. 2. Respect other members’ opinions.No posts that attack, insult, flame, defame, or abuse others. 3. No advertising or links to advertising or “Spam” is permitted. (Advertising or spam is defined as posting a link for the purpose of selling, soliciting or promoting something). 4. No posts regarding client membership will be discussed in chat-room. 3. Report posts that violate the rules FeaturedDate Dating Experts. 4. Lend a helping hand. A bit of compassion can go a long way toward helping people with challenges in life and reaching out can help alleviate feelings of loneliness. 6. Do not be afraid to share. If you are feeling alone or hurting, do not be afraid to share your fears and tears. 8. Be respectful of moderators in both the forums and any private communications. 10. Do not post offline personal contact information (ie. your home address, phone numbers etc.) and do not ask for personal information from others. This is to protect your security and identity.